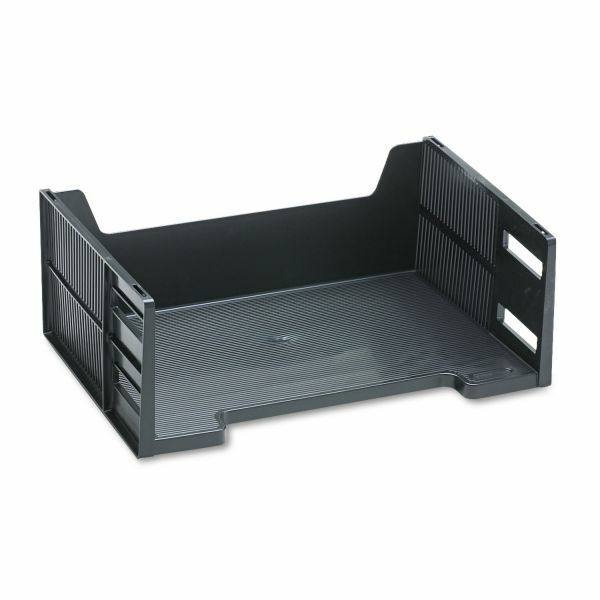 Unique “Stack-Loc” feature keeps stacked trays together with locked-in stability. 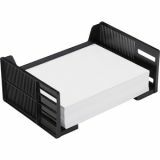 Rubbermaid Stackable High-Capacity Side Load Letter Tray, Polystyrene, Ebony - High-capacity, double-deep stackable tray provides more room for filing and stacking without the use of extra trays. Use side-loading tray with comparable standard trays. 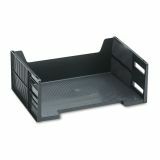 Modular trays quickly snap together and also may be stacked with the original Stackable line. Tray is made of tough polystyrene.